The wedding gift placemats are a bust so on to plan B: another quilt, of course. But I wanted to add a little something to the quilt so that it wasn't just patchwork squares. So I'm alternating pieced blocks with applique. Here is block 1 using fused applique. The pattern is "My Whimsical Quilt Garden" by Piece O' Cake Designs. 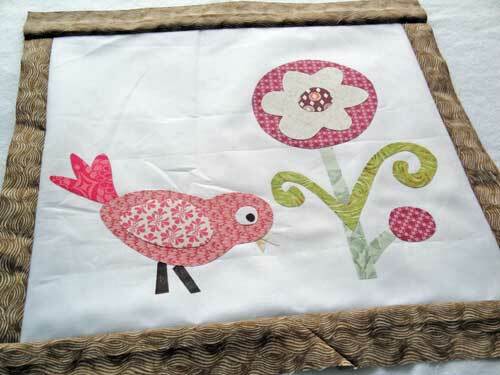 The block was fun to put together and a great way to use up the tiniest scraps of fabric.